How do i make the hashtags and user tags work in photos and group comments please ? 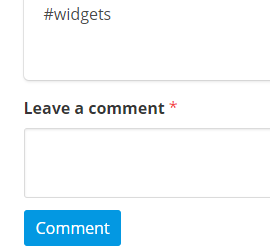 Do you mean tagging IN photos (Tidypics tagging option) or user tags in comments made on photo entries, i.e. in comments in general? As for tagging users in comments there's the Mentions plugin (https://github.com/Elgg/mentions). Unfortunately, it's not fully working anymore on recent versions of Elgg. A fork of it available at https://github.com/propertunist/mentions might work slightly better - not tested myself so I can't say if it fully works (you would have to download the master branch zip and rename the unzipped folder to "mentions" in this case). There might be some other plugin available that I currently don't remember that offers hash tag / user tag functionality throughout the site (with Wire Tools it would only work in wire postings) but either I'm wrong and there isn't such a plugin or I just can't remember right now where to find it.